In 1976 Doug Lellbach achieved the highly respected rank of Eagle Scout after years of commitment, hard work and dedication with the Boy Scouts of America. Remaining true to the leadership values and tremendous work ethic learned during scouting, Doug went on to build a name for himself in the construction business. Known for his dedication to providing the highest level of quality craftsmanship Doug created Lellbach Builders in 1988 and dedicated himself to helping his customers reveal their home’s true potential. As a young child, Doug’s favorite toys were Lincoln logs and his erector set. He never followed the instructions; rather his passion was for designing his own structures. 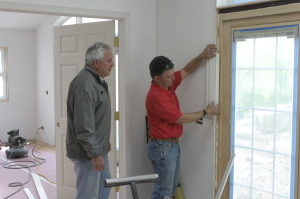 Doug considers his greatest gifts to be his attention to detail and tenacity in finding a solution to a remodeling challenge. 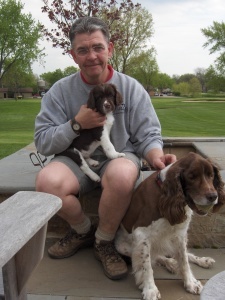 After attending Illinois State University, Doug entered the construction business and has been there since 1978, with many years of hands-on and project management experience. As the owner of Lellbach Builders, he has earned a reputation for being honest and timely. His insistence on excellence earned him a feature spot on HGTV’s “Before and After” show, which showcases dramatic whole-home remodeling projects from start to finish. As an Eagle Scout, and member of the National Eagle Scout Association, Doug has been extremely active in local Boy Scouts for many years, and has even worked with his sons to help them achieve their Eagle Scout ranks. Although his sons are now grown, he continues to offer his services and expertise to the Boy Scouts and believes solidly in its principles of loyalty, honesty and integrity. Doug has served on the Board of Directors for DuPage PADS, a nonprofit organization with a mission of ending homelessness in DuPage County. Since 2011, Doug has volunteered his skills to Rebuilding Together, Aurora. During RTA’s annual April rebuilding event, Team Lellbach has donated their skills to help low income homeowners repair their homes. I have always been impressed with the casual and friendly, yet highly professional, way in which Doug approaches each job. His construction crew too has always been a pleasure to have in my home. It is obvious that Doug, while insisting on having quality craftsmen working for him, also insists that they be a reflection of himself. That is no small task in the labor market here in Naperville. And the busyness of his schedule attests to the fact that he is a highly regarded and sought after contractor.